A market leading dedicated business insight solution that provides critical supply chain intelligence for BRCGS Certificated Sites. BRCGS and Trace One have introduced a new analytics module providing a fantastic insight into your business. 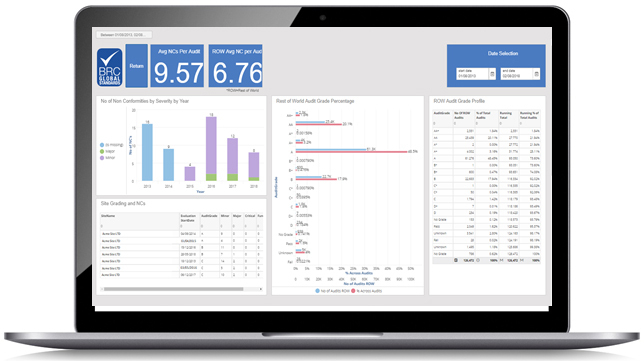 Trace One Insight is as an add-on to the BRCGS Directory a dedicated business insight solution that provides critical supply chain intelligence through a series of dashboards and reports. For all BRCGS certificated sites Trace One Insight is an essential tool to analyse audit results and to see how you compare to your peers and other sites from around the world. The Trace One Insight module provides vital benchmarking information to improve your business. The Insight module is available to BRCGS certificated sites on a yearly subscription of just GBP99.00 per annum. As a special introduction to the Trace One Insight module we’re offering you the opportunity to purchase your first year’s subscription for just GBP50.00 until 31 March 2019. So, don’t delay subscribe today!